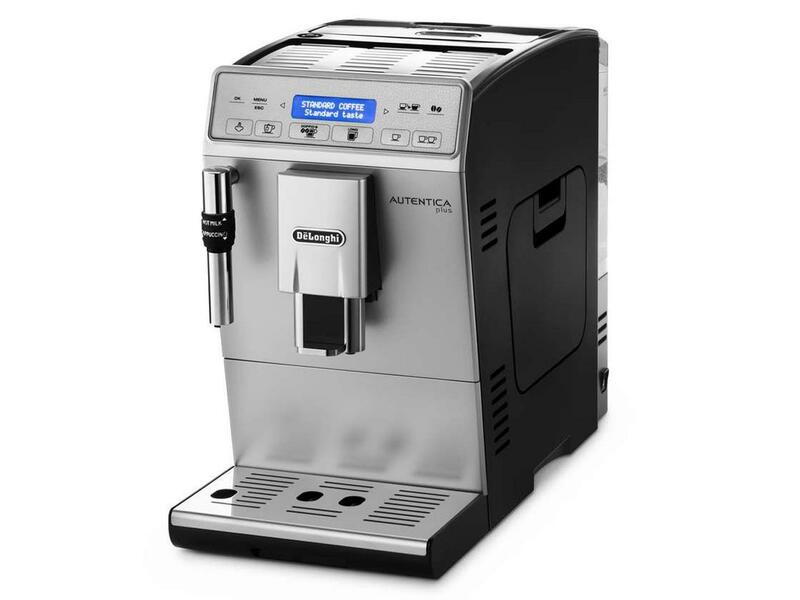 Autentica bean to cup coffee machine does what a Barista does and all at the touch of a button for exceptional coffee flavour and aroma time and again. The "Long coffee" is a function that reproduces the taste and size of the American Filter Coffee through slow and low-pressure brewing, activated with simple touch of a button. The result is a coffee with a delicate flavour that can be enjoyed at any time of the day. Thanks to a new innovative brewing process, you can get a double espresso with extra aroma and a boost of extra energy. For all those moments when you need an extra lift. 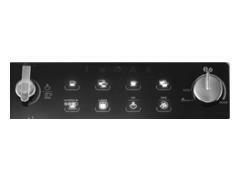 Intuitive soft touch control panel with two text lines display in 16 languages for a clear and simple use. 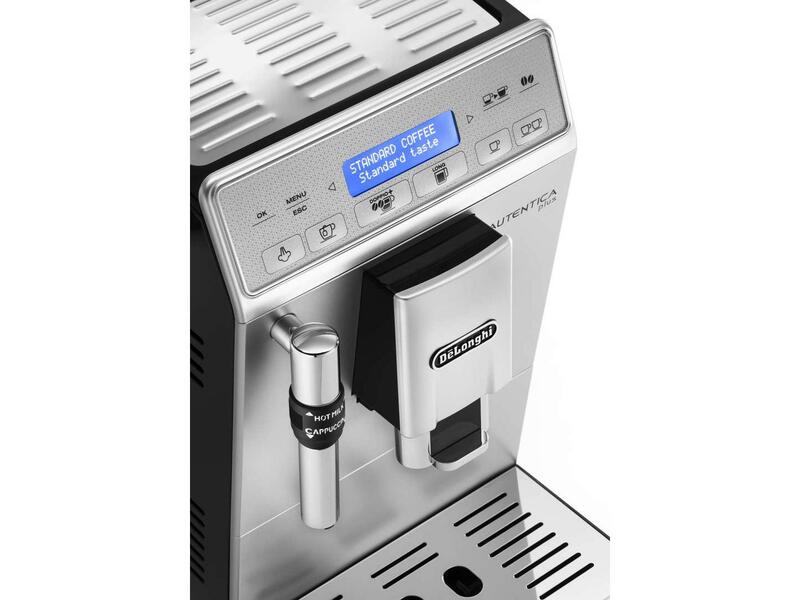 Intuitive soft touch control panel with two text lines display in 16 languages for a clear and simple use.n New “Doppio+” function to enjoy more than a double sizeespresso with extra aroma and a boost of extra energy. 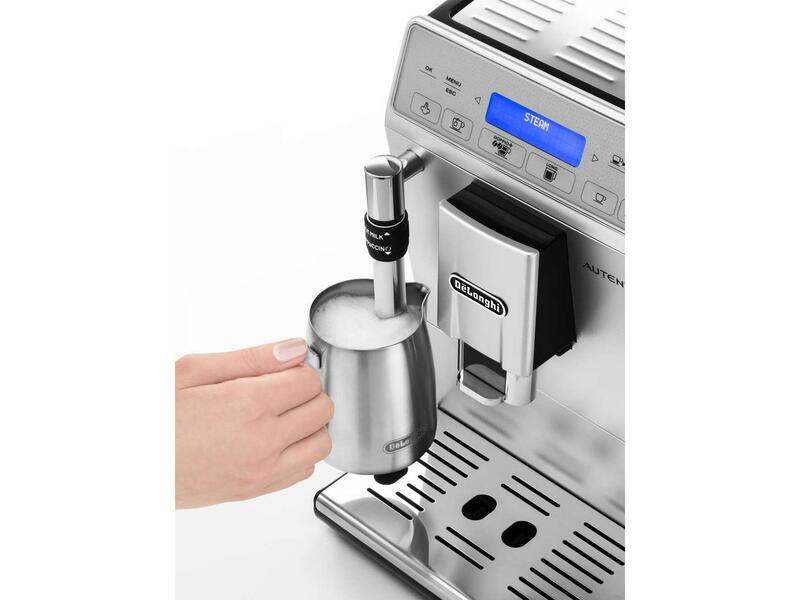 Advanced milk frother with adjustable froth switch for a smoothand silky milk foam, to create your favourite milk beverages like Cappuccino, Caffelatte, Latte Macchiato, or make hot water fordelicious tea or infusions. Personalizing coffee as often as you want has never beeneasier. Choose from short, medium or long, try a strong or extramild aroma, enjoy it piping hot, medium or low temperature. 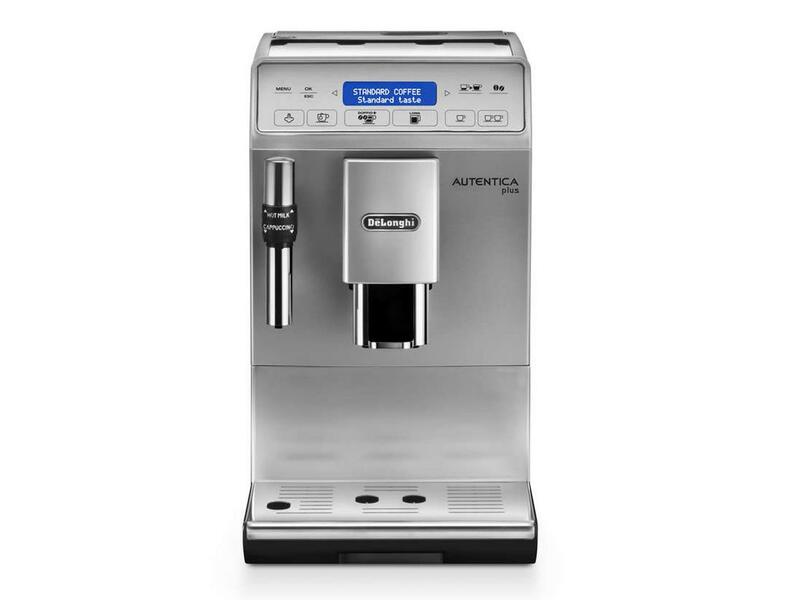 The machine can be used with either coffee beans or pre-groundcoffee. Prepare two cups of coffee with a single brewing cycle.n Integrated coffee grinder with 13 adjustable settings.